BB-8 is the loyal astromech droid of Resistance pilot Poe Dameron. The specially designed technology in this unique BB unit makes it invaluable to the Resistance. A trusted keeper of valuable information and a valiant ally, this Droid is full of features and will stop at nothing to complete its mission. 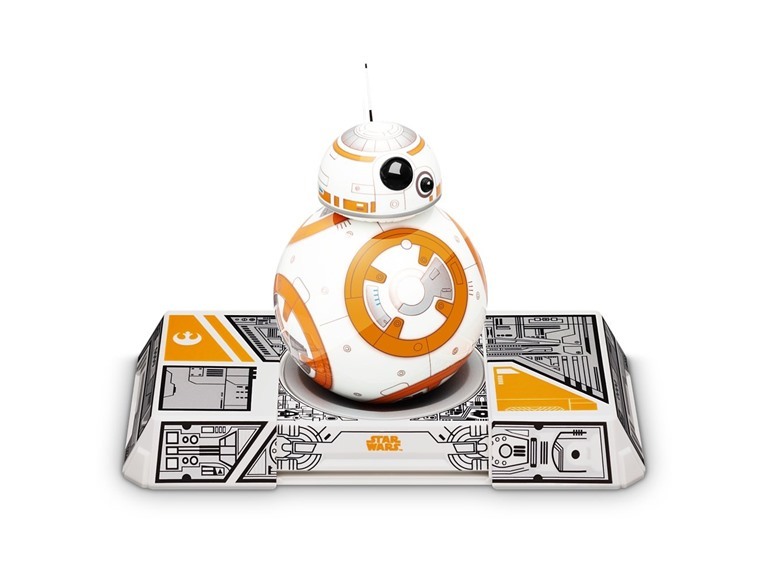 Control the BB-8 App-Enabled Droid with your smart device and see it roll just like on screen. Complete with the new Droid Trainer accessory, explore holographic environments like the Resistance Cruiser, the Raddus, and immerse yourself in the Star Wars galaxy. BB-8 is more than a Droid – it’s a companion. Control your Droid with your smart device or Force Band (not included) or let it patrol on its own. BB-8 will react to movies from the Star Wars saga as you watch. Use the Sphero Edu App to learn to program 3 different ways with BB-8 and complete STEM activities. Watch BB-8 interact with other Sphero Star Wars Droids in different modes of play.